Created to provide helpful information about the Puerto Rico Cannabis Industry. Cultivators are responsible for growing cannabis. Mature plants are harvested and transferred to a Processor. What are the Fees for a Cultivation License in Puerto Rico? 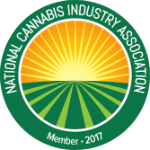 Manufacturer’s take harvested cannabis from Cultivators and create derivative extracts for edibles, concentrates, topicals, and prepacks. Manufacturer’s can also whole sale products. What are the Fees for a Manufacturing License in Puerto Rico? What are the fees for Dispensaries? 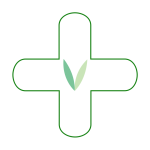 Distributors are responsible for transporting cannabis, and finished cannabis derivatives, to licensed dispensaries. What are the Fees for a Distribution License in Puerto Rico? What are the Fees for a Laboratory License in Puerto Rico? 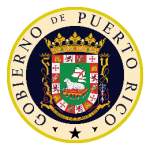 Before receiving medical cannabis, patients must register with the Puerto Rico Department of Health. How do I receive certification or referral for the Medical Cannabis Program in Puerto Rico? Does my condition qualify for Medical Cannabis in Puerto Rico? Other illnesses that are not responsive to traditional medicine. Puerto Rico’s Medical Cannabis Program is operated by the Department of Health. For the latest cannabis-related legislative updates on Puerto Rico, check out our Cannabis Bill Tracker! “Start-ups can be challenging. Cannabis Start-ups take stress to a whole-other-level. When it came to seed-to-sale software we couldn’t take the risk of reinventing the wheel. We were in a unique situation of being experienced business people immersing ourselves in an industry that was still in infancy here in Puerto Rico. PUERTO RICO SUCCESS STARTS WITH CONTACTING US!